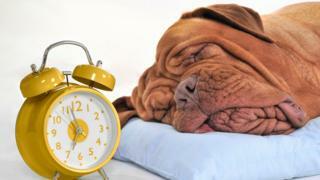 Daylight saving time: Could the clocks change be a thing of the past? 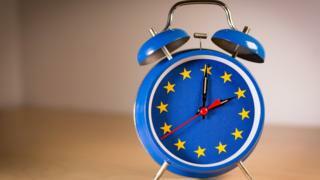 A committee has voted for the end of daylight savings in the European Union, meaning the practice of changing the clocks back and forth throughout the year could be a thing of the past. Under the proposal, all EU countries would have to take part and would get to choose between being on permanent 'summer' time or permanent 'winter' time. The idea was voted on by the European Transport committee, and although it's not been agreed with European Parliament yet, if it becomes a law, the adjustment could begin as early as 2021. How it affects the UK would depend on how Brexit goes, and what the agreement is like after the withdrawal on 29 March. If the UK is still in a transition period, the British government might have to accept the change. A lot of people are caught out by the changing clocks every year, so it could be a welcome change by many, but it could also mean that Northern Ireland and the Republic of Ireland have different time zones. The idea of changing the clocks depending on the time of year was to make the most of daylight through the summer by getting up earlier. Some think having BST is a good thing because it saves energy, by making better use of natural daylight, and helps to reduce traffic accidents. To find out more about why we change the clocks, click here. When do the clocks change and why? Brexit: What's life like living on the Irish border? Ok people. If you change the clocks, you waste time. You only have one life. You spend half of it sleeping (or at least I do). A quarter of it is spent changing your clocks. I mean, who doesn't want to live life? Don't waste your time, people! I agree with silver shiny flute. I think we should keep changing the clocks back and forth. I think we should stop changing the clocks as I don't think it makes much difference.